Our Crystal Decanter is the epitome of modern elegance. The contemporary lines of this beveled lead crystal reflect and scatter light beautifully. 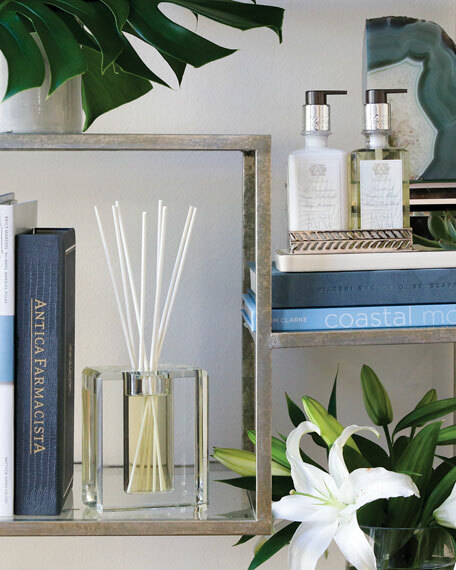 Whether filled with your favorite Antica home ambiance fragrance or your favorite seasonal flowers, its beautifully sculpted silhouette is worthy of display in any distinguished home space. 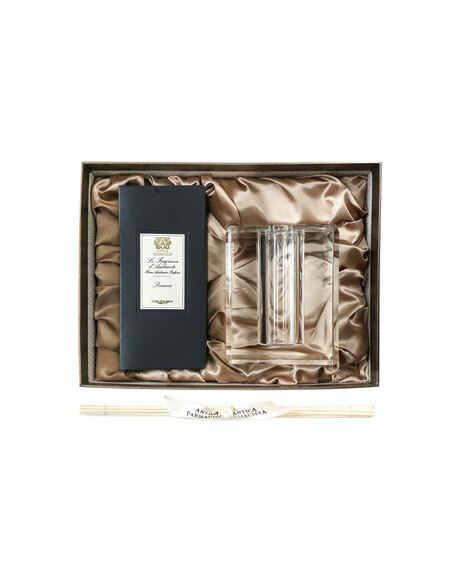 Top notes of Satsuma citrus balance with subtle floral notes of muguet. Apricot and passionfruit complement the sweetness of sugared black currant. 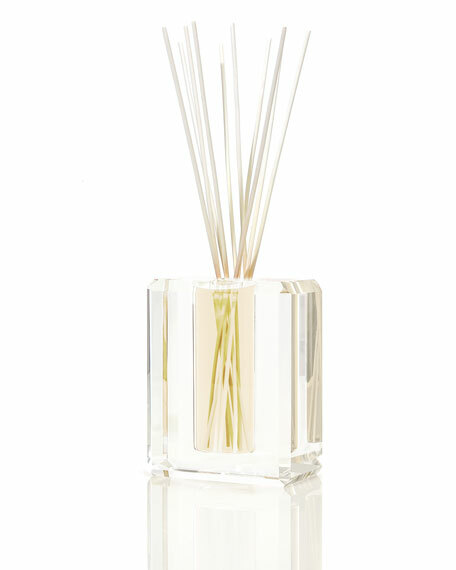 A crisp scent celebrating the sparkling effervescence of Prosecco and Champagne.